It is only natural that women always try hard to look good and as consequence, try as hard to enhance their daily looks. Surely, looking good is a daunting task and comes across as a chore to be undertaken. But, for most women, looking good comes naturally to them and is part of a healthy living. Women tend to experience a natural affiliation to the finest and quality things life has to offer in order to boost their looks. In fact, they share an inseparable relationship with designer accessories. Accessories are indeed a wonderful addition to a woman’s closet. The right type of fashion accessories can turn a dull outfit into something amazing. That is why instead of buying a new outfit−which can be costly−many women choose to go for a proper set of accessories. Such alternative can be hundreds of dollars cheaper and still be able to give you a new look with your existing wardrobe. Russia is a vast nation. It is not at all surprising to see the kind of clothing in Russia naturally different to that found in anywhere else. Leather has become a fetish in Russia. Lined with fur, the look has become synonymous with Russian clothing and accessories. In the minds of most Russian women from the later generation, accessories are not a mere fashionable complement but also an additional expression of character. For them, life will be so dull if there are only clothes to play with. In fact, they think they will look so uniformed and their personalities and style will be hidden inside them. While the choice of clothes says everything about one’s style and preference, accessories help to take it to the next level. Are you curious yet? With that in mind, I have rounded up 5 stylish Russian accessories for women, each made for the social media–savvy shopper. Happy reading! Elegant and stylish, Russian fur hat is a popular item on the list of fashion-conscious women worldwide, especially during winter. Russian fur hat keeps you warm. Fashionable and comfortable to the core, Russian fur hat is usually manufactured from fox fur, mink fur, rabbit fur, et cetera. Russian fur hat that is designed to look stylish and up the glam quotient has attributed to Russian fashion companies. These days, they start to add to the overall look of any winter garment so it can be worn on just about any occasion. Even women outside Russia desire a Russian fur hat more as it imparts a very feminine look. So, get yourself a Russian fur hat today! Scarf is considered as traditional clothing item that most likely originates from before revolution. It was worn by Russian women of different classes such as field workers, villagers, farmers, and the like. There was also a belief roughly a few centuries ago that married women should not show her hair and should cover it. However, in modern times, scarf becomes a statement accessory favored by fashionistas in Russia and even abroad. What makes Russian scarf so appealing is its versatility in wear. The strong character and timelessness of it also come to play. Russian printed scarf usually ranges in colors, patterns, and sizes. It offers numerous possibilities of wear and possesses the power to pull together an outfit that would otherwise feel incomplete or too heterogeneous. You can use it as a headscarf and add a touch of whimsy to a prim look. You can also use it as a shawl which no doubt will make you more stylish. Fur is totemic for women in Russia. 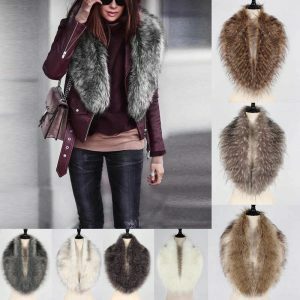 Fur is not only in their bloods but also their fashion accessories, just like silk for Chinese women. The fur brooch is one of the many. However, it is not just for lapels anymore. It is not just the old-fashioned cameo either. Fur brooch starts showing up on brides and businesswomen in Russia. For women, tiara is no mere adornment. From the stones to the shapes, everything has significance–be it a power play, a family heirloom or a national treasure. Women who favor modern and casual style should try to wear Kokoshnik tiara as their additional accessory, for it is small and modest. Kokoshnik tiara is also a part of Russian traditional costume. It is usually bought together with traditional dresses or costumes and used for dance performances, theaters or other traditional folk entertainments. According to history, Kokoshnik tiara is a popular head decorative element in Russia in XVIII century. It has a great variety of headwear versions and styles across Russia. But, the best known kokoshnik has a high front shaped like a crescent with rounded edges. The front of a kokoshnik is usually decorated with golden thread and pearls embroidery. Fluffy fur collar scarf is the most common accessory in Russia. Russia is a country that undergoes the longest winter and known for its cold, icy places. Thus, keeping their heads and upper bodies warm is of utmost important. However, Russian women are very fashionable, and even the extreme Russian winters cannot stop them from looking their best. This reason became a strong motivation for Russian womenswear designers to modify design concepts of accessories to work for the extreme weather in Russia and the tastes of the fashion-conscious woman. Fluffy fur collar scarf is one of their works to the world representing their country in a surprising way. Similar to Russian printed scarf, fluffy fur collar scarf is a chic throw-on accessory that allows for plenty of mixing and matching. It has the power to make old coats seem new again. Truly, it works with everything. The demands posed by each woman to look attractive in the eyes of the onlookers can now easily be met by 5 stylish Russian accessories for women. A damsel fretting over her looks is able to solve her fashion concerns with the very many options available in Russian’s preferences of accessories to enhance the exterior and feel a sense of greater confidence within her.